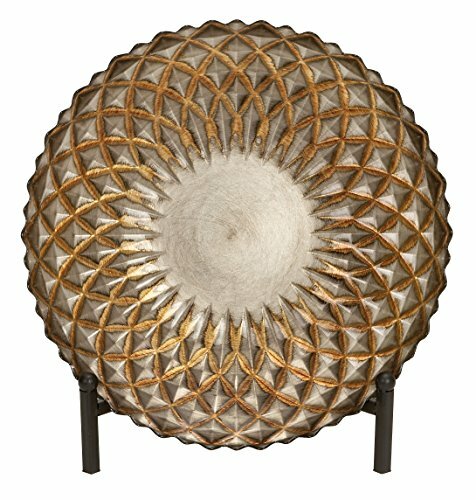 16 inch product modern reflections geometric Roulette curve glass bowl, brushed pewter finish, jute color and texture design with Dark Gray scalloped edges, black iron stand. This product is manufactured in Turkey. If you have any questions about this product by Uma, contact us by completing and submitting the form below. If you are looking for a specif part number, please include it with your message.